Blogging is tough - coming up with unique content as well as marketing it can be quite overwhelming. There are too many pieces to the blogging puzzle, and blogging how-to guides - even though in a wide variety - tend to be too long, and are often intimidating. With that in mind, I've put together something more minimal, yet actionable, which will help guide you through the process of creating and marketing a blog post, from start to finish. Here's my quick guide to effective, simple content marketing. Let's say you have no idea what to write about - but of course, you have a generic blog topic, like "gardening". The goal is to find an interesting idea with doable competition that's possible to beat without too much effort/investment. 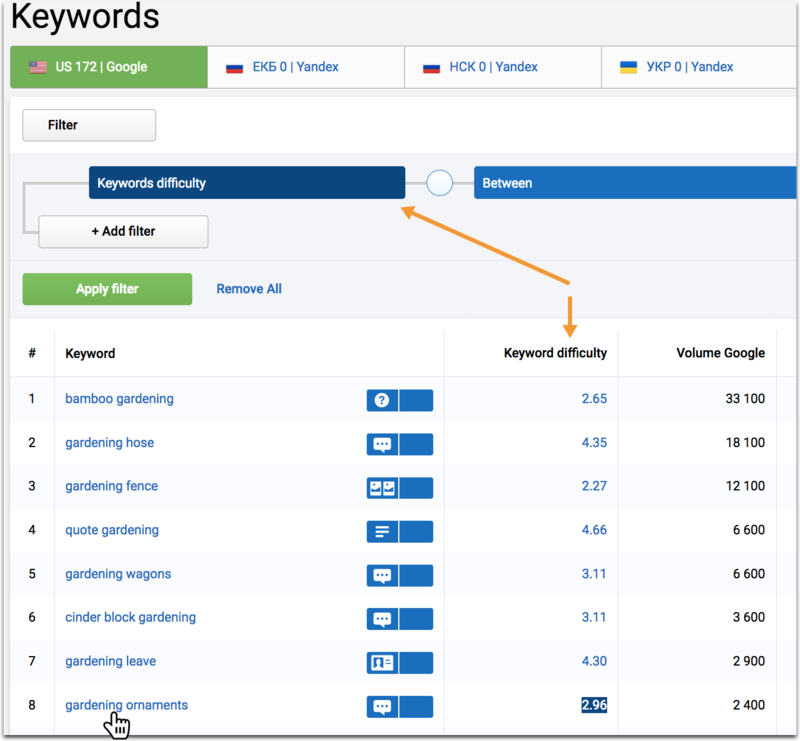 These keywords might not bring as much traffic as more popular queries with high competition do, but focusing in low-competition queries with each article will drive a little bit of traffic each time, leaving you with a lot of visits in the end. This is where Serpstat comes in handy. Simply enter your core term, then use the filter to limit results to those with keyword difficulty (i.e. 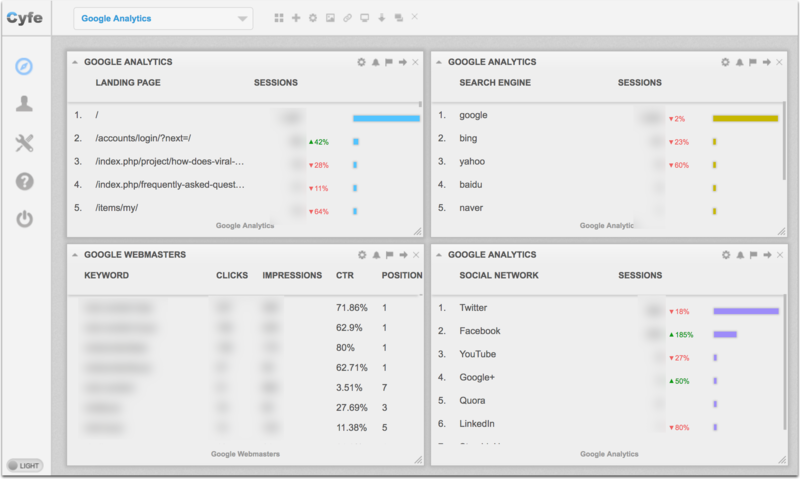 Serpstat's own metric showing organic competition) between 1 and 5 (that means the lowest). This should give you lots of generic content ideas and angles to narrow down in our next step. Now that we have a pretty generic idea on what we want to write about, let's find some unique angles and learn to optimize content as we work on it. Text Optimizer is the tool you want to run several times while writing content for any page. 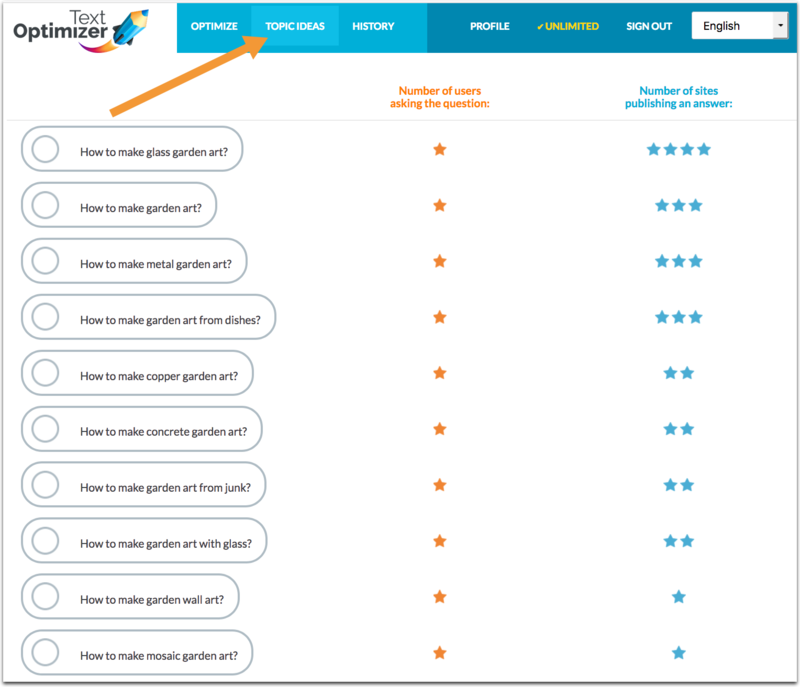 To use the tool, copy-paste the core term you found in step 1 into Text Optimizer, choose "Google" and then "New Text: Start from scratch"
Take note of related topics (these may be your article sections) and select at least 20 related terms to include in your article. 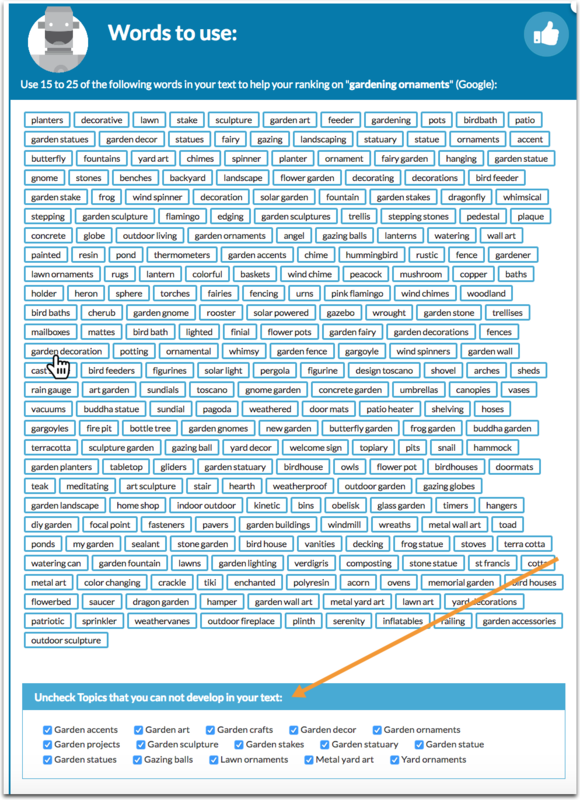 If you uncheck any of the topics - the tool will refine the list of related terms to better serve your remaining categories. For each or any of the selected topics, you can also run the "Topic Ideas" tab to see popular questions on each one. Note: At any point of this research you may want to create several articles (i.e. the article series) if you feel like there's too much to say on some of those subtopics. This is fine: The more content ideas the better. 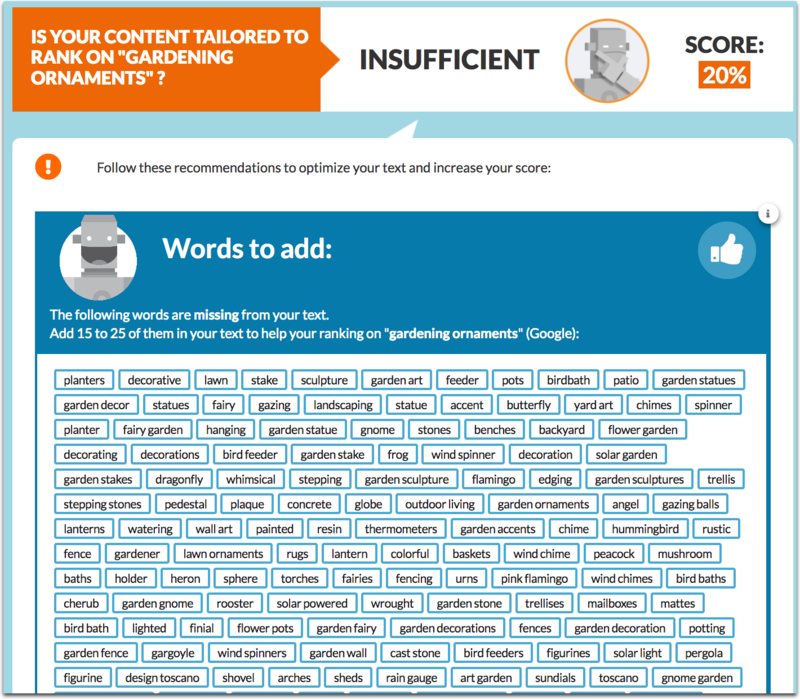 The main thing is that once you think your content is written, you run the tool again using "My text: Fill in your text" option to see how well you did, including related and neighboring terms and concepts. A good article is not just a wall of text - even a very-well-researched top-quality content piece will not perform as well as one that includes something fun and engaging, e.g. related videos, images, books, etc. Further reading resources, useful tools, related books and authors, etc. Now spend some time crafting those social media updates, a slightly different one for each of major platforms. I use Design Wizard to create best-fitting images for each platform separately. 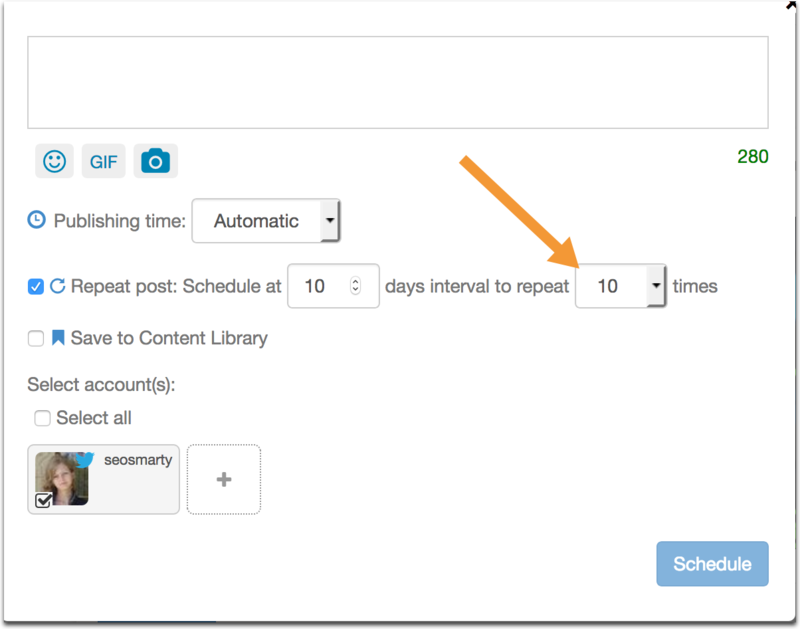 I also use Drumup to schedule recurring tweets far into the future, tagging key influencers I featured in the article. This drives additional exposure from them on a regular basis. Now, sit back and relax, right? 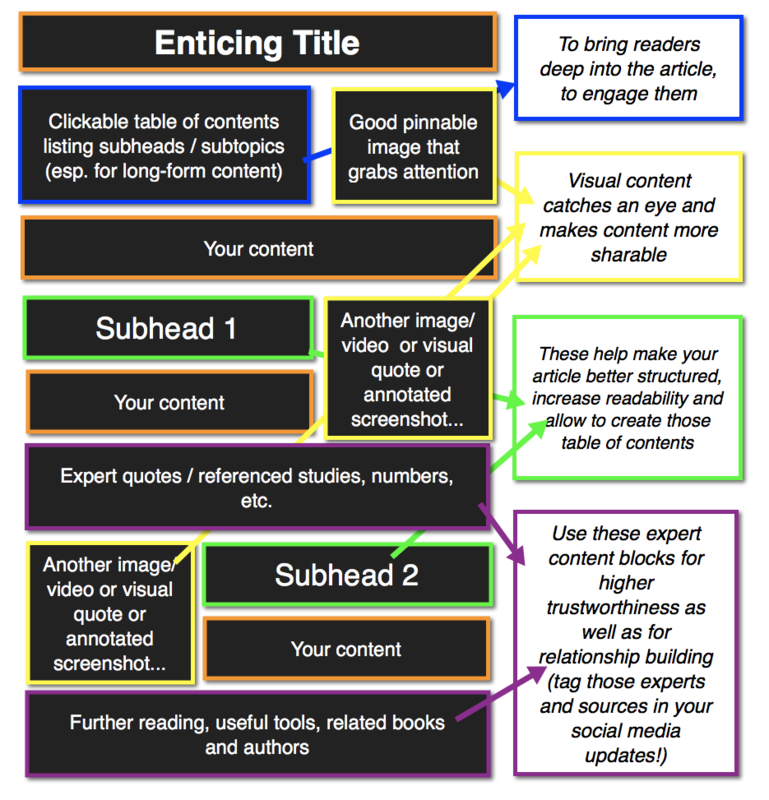 These are the basics of creating and sharing effective content. Hopefully these notes help put you on the right track for more blogging success in 2019.